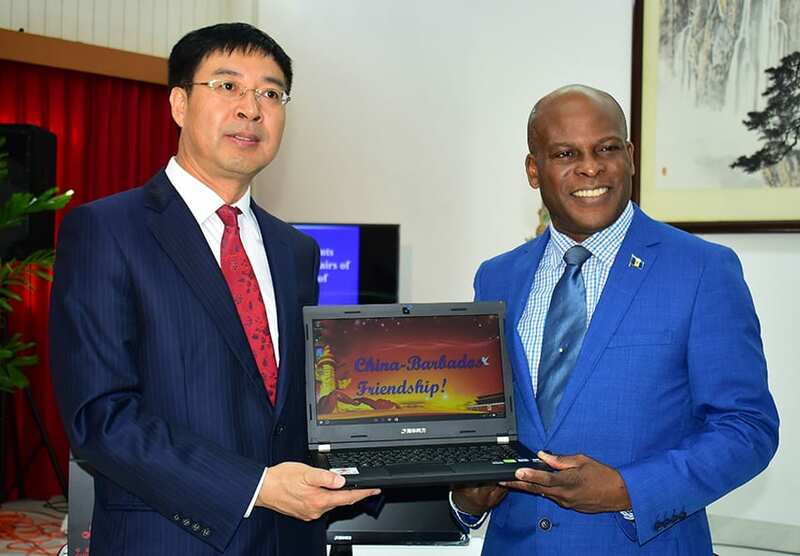 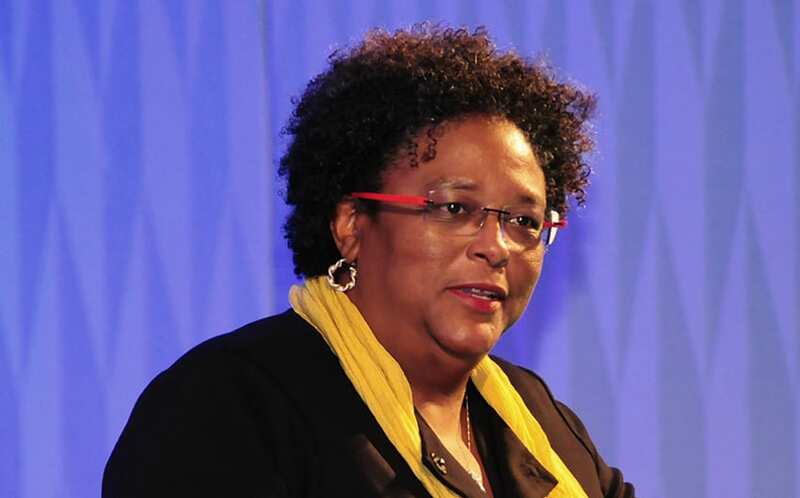 Barbados recognises the value of its relationship with China. 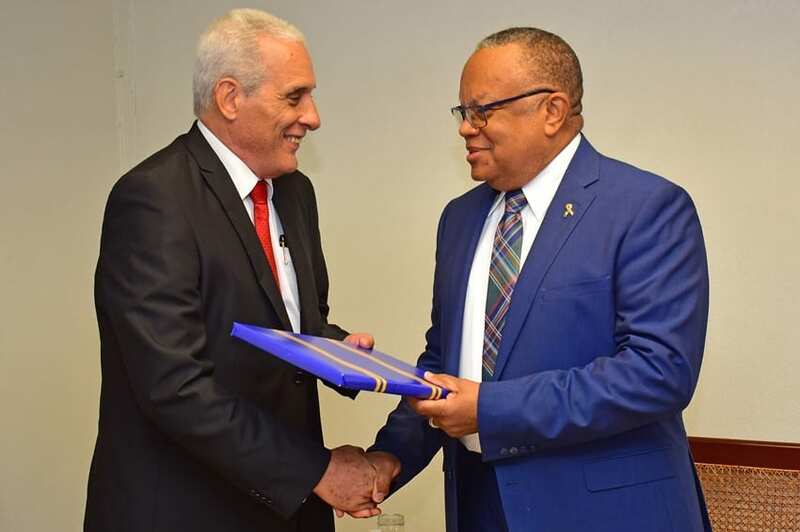 Minister of Foreign Affairs and Foreign Trade, Senator Dr. Jerome Walcott, made this assertion during a recent courtesy call by Ambassador of the People’s Republic of China, Yan Xiusheng, at the Ministry on Culloden Road, St. Michael. 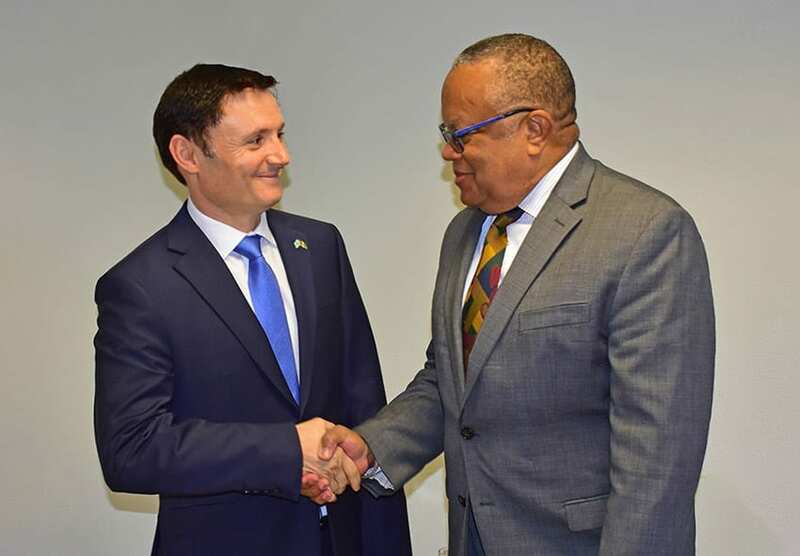 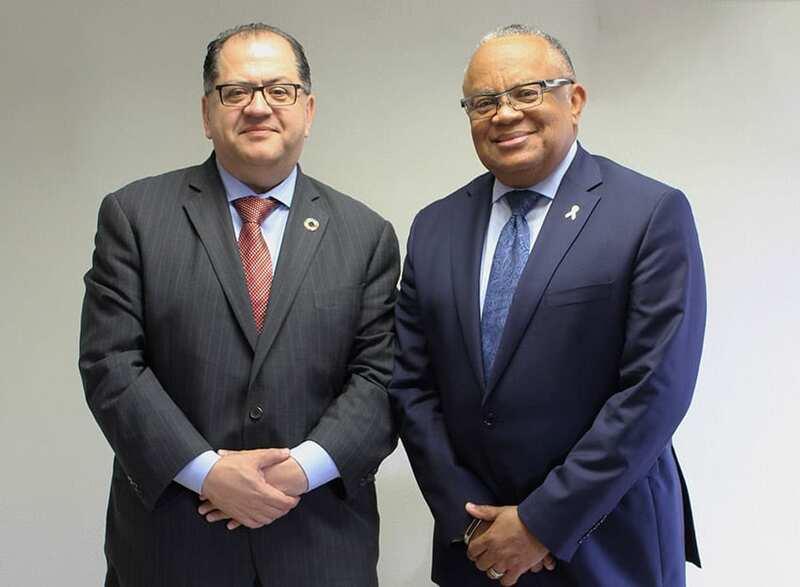 Senator Walcott thanked the Ambassador for his country’s support in providing scholarships and training opportunities in agriculture, language and other areas to Barbadians. 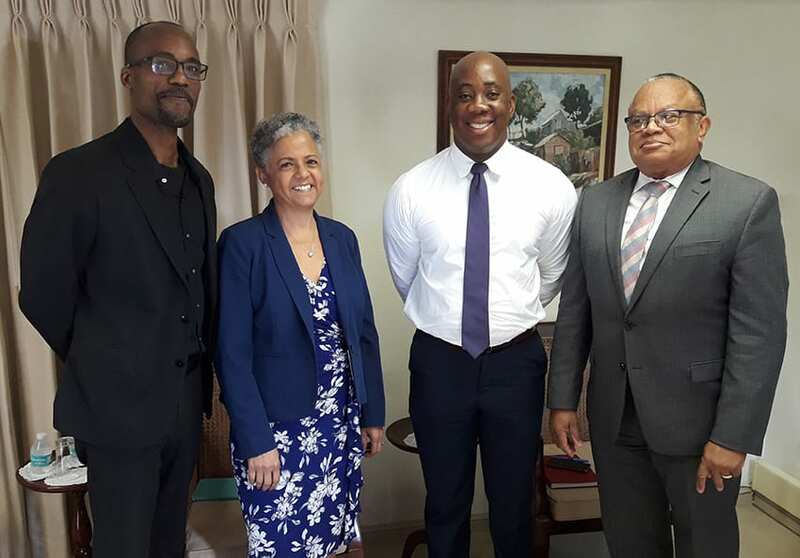 He noted that China was an important trading partner and mentioned Barbados was looking at the advantages of China’s One Belt One Road initiative. 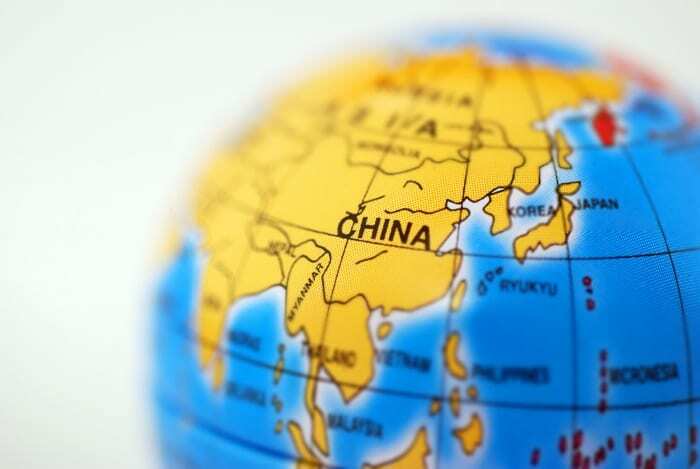 The aim of the initiative is to build an extensive network of infrastructure – including railways, roads, pipelines, and utility grids – to help link China to the rest of Asia, as well as Africa and Europe. 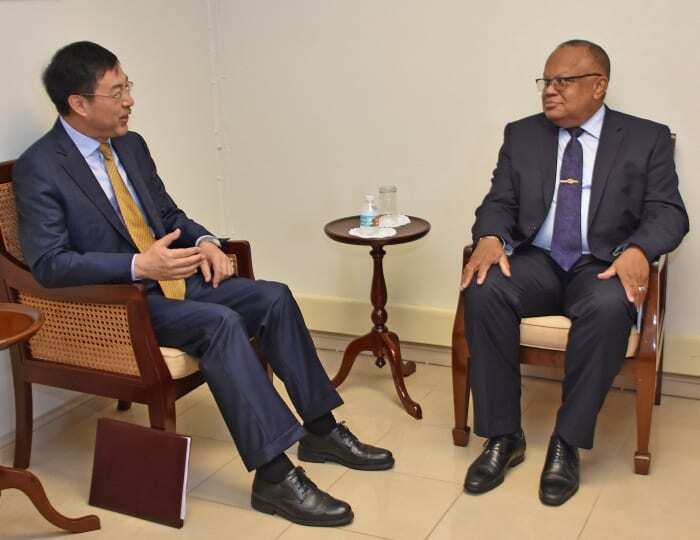 Ambassador Yan stated that his country was opening its doors to the world by embracing free trade and globalisation. 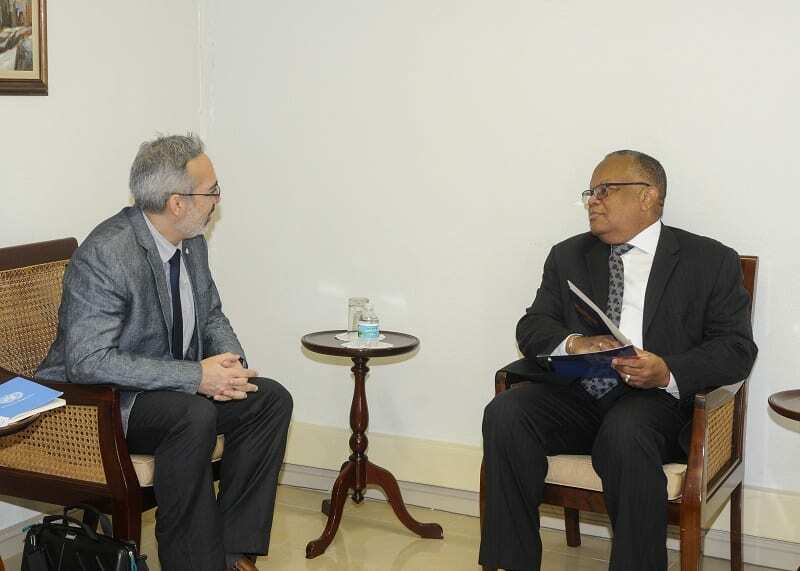 He said China was the largest developing country in the world and stressed that the Asian nation supported other developing countries. 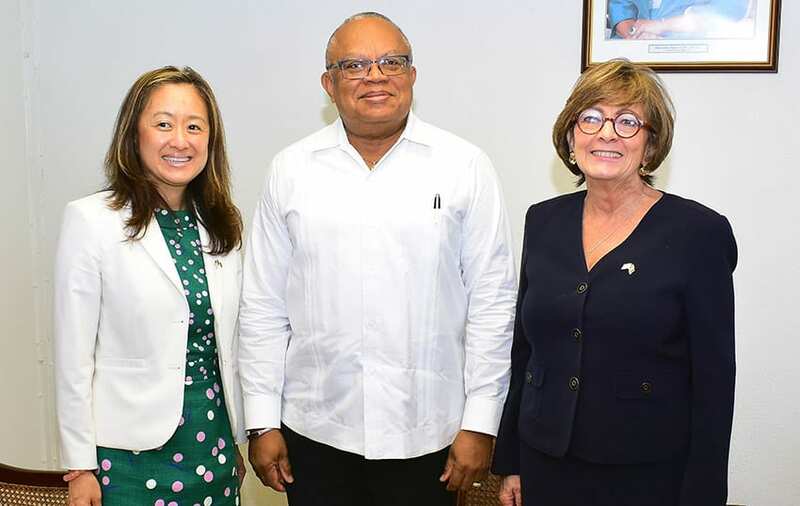 The envoy noted that Barbados and China have collaborated in numerous areas, such as the creative economy, tourism and investment. 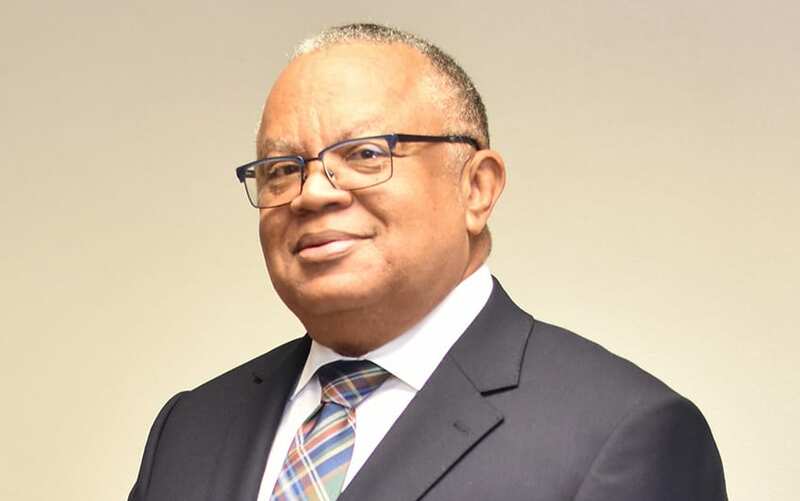 Pointing to the Sam Lord’s Castle project, he said its benefits included the provision of 1,500 jobs and earning foreign exchange for the island. 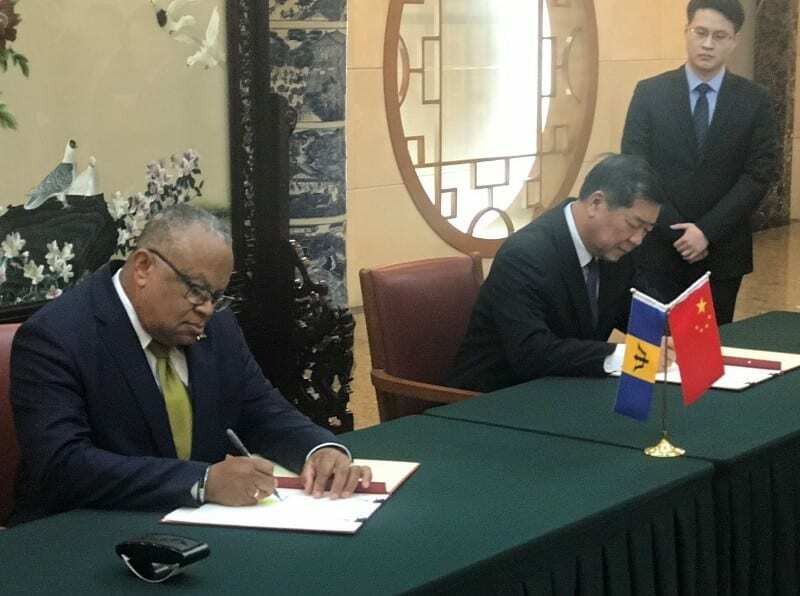 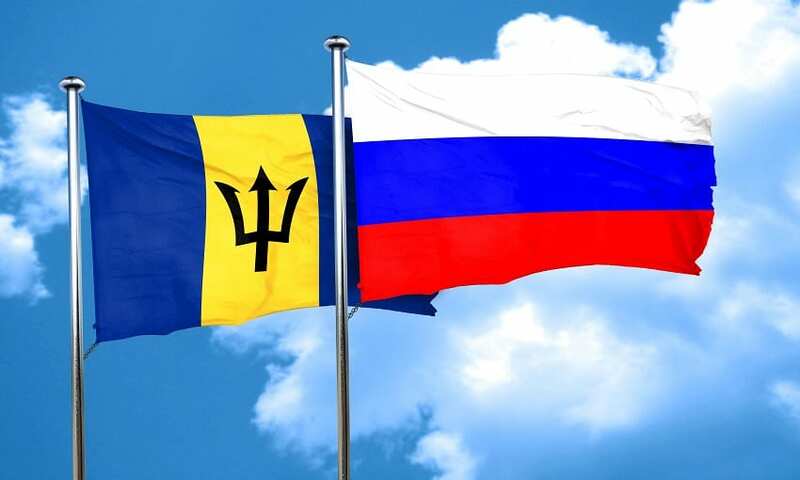 Declaring that the two countries were “good friends”, Ambassador Yan thanked Barbados for consistently supporting the One China Policy.